For Lawrence Converso’s Design Miami debut, the 20th-century dealer’s intent was clear: to bring a little piece of California to South Florida. His much-Instagrammed booth—awash in pale–yellow and desert–pink—showcased a cache of never-before-seen work by the Swiss-turned-Californian architect Albert Frey, whose modernist 1960s designs (many of them in whitewashed pine) came to epitomize Palm Springs style. It all felt quite relevant, considering that the nearly 25-year-old gallery—with locations in New York and Chicago—was preparing to open a third spot in Los Angeles. Like its New York and Chicago counterparts, the 2,200-square-foot showroom on Beverly Boulevard will display stars of 20th-century design: an important Paul Evans cabinet, an anodized aluminum Isamu Noguchi table; a rare Gabriella Crespi bronze-and-brass mirror from her Sunrise period; a three-legged Philip Johnson lamp designed for his famous Glass House. 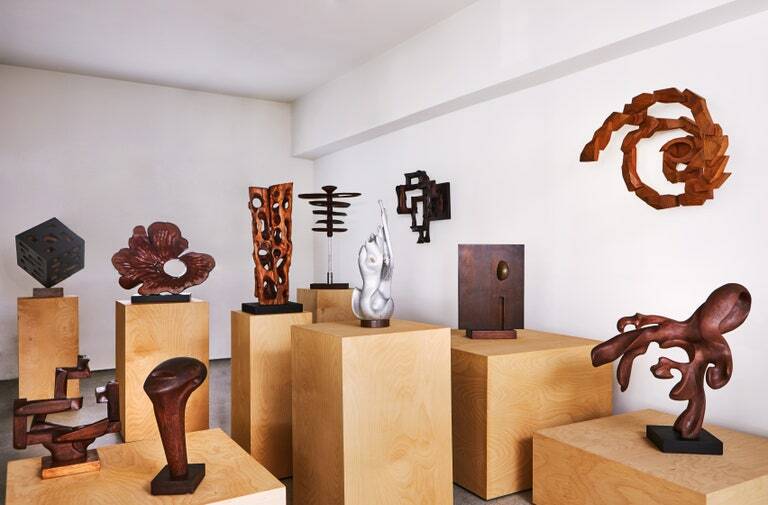 Off of the main space, a smaller room will showcase special exhibitions, like the series of sculptures by Mario Dal Fabbro, a newly rediscovered designer who proved instrumental behind the scenes at the Knoll and McCobb offices, on display through March 9. Notably missing from the gallery’s opening selection is a red George Nelson Marshmallow sofa. “The day we unpacked it, it was acquired by a museum,” reveals Converso of the rare piece. “We learned it was a gift from a donor collector who had been tracking it for some time.” Not bad for day one.